Commercial and Industrial disciplines. Including data networking installations and consulting. Leading edge technologies and automation services. 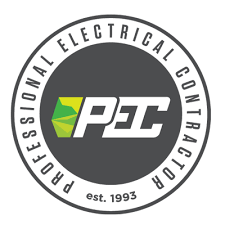 Our Electrical Technicians hold Master Electrician, Journeyman Electrician, and Electrical Aprrenticeship designations in addition to the OEM and CPCA Certifications. This diversification and extensive years of experience provides a very cost effective solution to our customers. Downstream Petroleum services including: small to large construction projects. Diversified trade resources offering improved efficiencies. Our Technicians have been trained with OEM Certifications and CPCA Petroleum Mechanic programs qualifing them for all aspects of the industry including UGST and AGST installations, service and maintenance. Some of these Technicians hold Electrician/Apprenticeship certifications supporting our crosss-trained Technician offerings. Electrical and Petroleum service, maintenance and call center. Dispatch centers covering Alberta, British Colombia, Saskatchewan, and North West Territories. Bar W has field service centers in Calgary, Edmonton and Red Deer dispatched from our call center in Red Deer. Call logging, management, and severity assignments supports minimal downtime for our clients in addition to meeting level of service agreements. Bar W Is a Proud Member of The Red Deer Costruction Association.